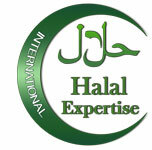 The issue for the Muslims is that some food additives originate from animal such as pork or insects or even extracted from alcohol, their use in food preparations is prohibited. For example, are considered doubtful emulsifiers because they can be of animal origin (E471, E433), some antioxidant (E304,...), anti-caking agent (E542,...), antifoaming (E570,..), moistening (E422, E1518,...), conservative (E1105,...), flour treating agent (E920) …. Additives can play several roles; these functions have been divided into 27 categories.